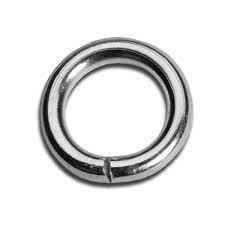 Bail - A metal loop that is used to attach a chain or cord to a pendant. 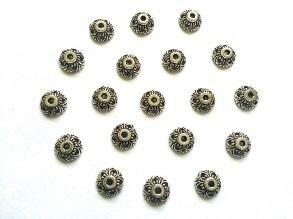 Bead Cap - A bowl-shaped component used to "cap" one or both ends of a bead to add visual interest to a design. Mostly decorative, but can also prevent beads from rubbing against each other. Beading Wire (Tiger tail Wire, Gear Wire) - Beading wire is actually a cable composed of multiple strands of wire twisted together. It is much more flexible and stronger than single strand wire. The most common type of beading wire is made from braided stainless steel strands of wire and is nylon coated. 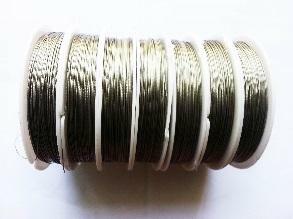 Beading wire can also be made from other metals such as brass, nickel-titanium and sterling silver. 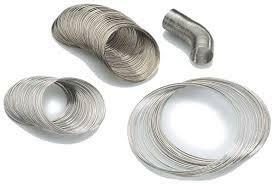 Beading wire comes in a variety of different gauges or weights. Depending on the number of strands it contains, the flexibility will vary. A thinner wire will give an appealing drape to lightweight beads such as gemstone heishi and bugle or seed beads. A thicker weight wire should be used to accommodate larger, heavier bead strands and heavier usage. Beading wire does not hold a shape by itself and is not intended to replace the type of wire used in wire-wrap projects. Jewelry designs made with beading wire must be finished with crimps. Bent Chain-Nose Pliers - A pair of chain-nose pliers with bent jaws, used to reach into tight places or odd angles, and grip beads or components. The bent tips allows access into difficult areas without blocking the line of vision. Bicone - A bead shape, most commonly seen in Swarovski crystal, of two cone shapes joined at the wide bases. Clasp - A fastener in jewelry-making, which connects two or more ends of a piece of jewelry together, allowing it to be worn. Clasps can be utilitarian and purely functional, or highly embellished design elements. Clasps are available in most materials, including metal, gemstone, bone, wood and more. Cone - Necklace terminator or beading finding used to bring multiple strands together at one point to attach a clasp or be part of the design. Crimp bead - (also called as Gear Lock or Crimp or Crimp Tube) A metal bead or short metal tube used with all beading wires and some beading cords to secure the beginning and to finish the end of a strand. 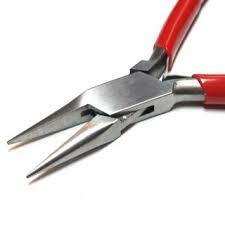 The crimp is pinched by specialized Crimping Pliers to create a secure piece of folded or crimped metal. It is then often covered by a Crimp Cover for reasons of aesthetics and wearing comfort. Crimping Pliers - Pliers with specially-designed grooved opening for folding, rolling and smoothing crimp beads and tubes. 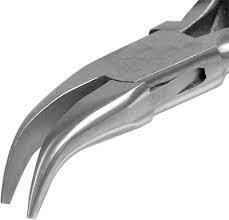 Crimping pliers create a smooth rounded or curved crimp, rather than the flat piece of metal created with other pliers. order to change its properties. Crystal glass has a higher density and increased light refraction, creating brilliant sparkling effects when cut. 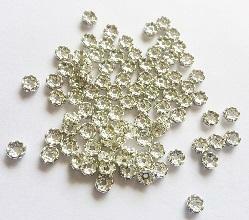 Cubic Zirconia (CZ) - Synthetic gemstone developed in 1977 to simulate a diamond. Cultured Freshwater Pearl - (see also Freshwater Pearl) Pearls created by a pearl farmer, who inserts a tiny piece, or "seed," of mother-of-pearl into a freshwater pearl oyster. The pearl oyster will coat the seed with progressive layers of nacre, creating a pearl. Cultured Saltwater Pearl - (see also Saltwater Pearl) Pearls created by a pearl farmer, who inserts a tiny piece, or "seed," of mother-of-pearl into a saltwater pearl oyster. The pearl oyster will coat the seed with progressive layers of nacre, creating a pearl. 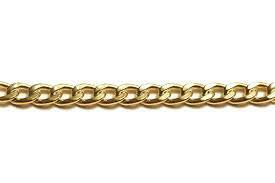 Curb Chain - A form of chain with oval links that have been twisted, so that the entire chain lays flat. Earpost - (also cleed as Earstud) A finding, usually metal, used to create ear jewelry. The post or stud of the finding passes through the ear, and is secured by an earnut on the back. 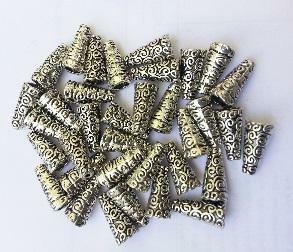 The front can be plain or highly decorated, and many styles offer attachment surfaces for flat-backed components, half-drilled beads, drops, links and other forms of embellishment. 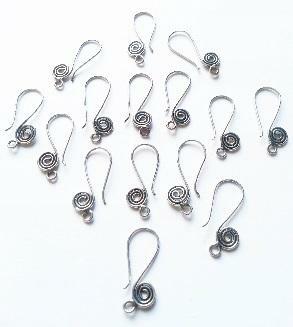 Earwire - A thin piece of wire used to support ear jewelry. Earwires come in a variety of styles. The most popular is the fishhook, which often comes with a ball or coil (or both), to balance the earwire in the ear. Enamel (ENML) - Colored, opaque glassy material fused onto metal, pottery or glass. Eyepin - A length of wire, usually straight, with a pre-formed simple loop at one end. 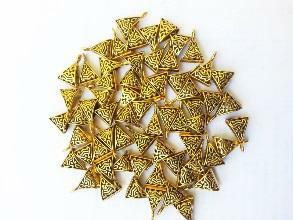 Finding - A jewelry-making term for any metal component used to connect and/or assemble jewelry. Findings are materials used to thread through, glue on, hook into, link onto or otherwise attach beads and components together. 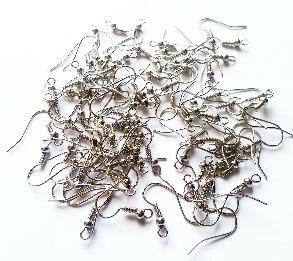 Findings include jumprings, clasps, bails, headpins, earwires and charms, to name a few. Flat-Nose Pliers - A pair of pliers with smooth, flat jaws, used to bend wire, stabilize beads and components, flatten wire, create sharp corners in wireworking and more. Freshwater Pearl - (see also Cultured Freshwater Pearl) Pearls created by a pearl farmer, who inserts a tiny piece, or "seed," of mother-of-pearl into a freshwater pearl oyster. The pearl oyster will coat the seed with progressive layers of nacre, creating a pearl. 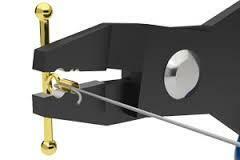 Gauge - The measurement of the thickness of wire or sheet metal: the higher the number, the thinner the metal. Gemstone - A piece of mineral which, when cut and polished, is used to make jewelry, embellish clothing or create household décor. Some gemstone material is organic, such as amber, jet and pearl. 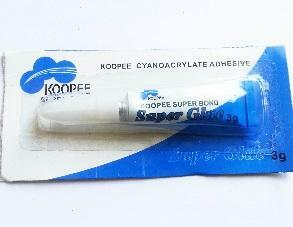 Glue - (see also Adhesive) A liquid, semi-liquid, gel or film that adheres or bonds items together. Half-Drilled Bead - A bead with a drill hole that only goes halfway through. 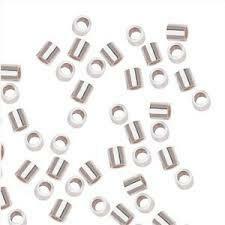 Half-drilled beads are attached to various settings using a glue or other adhesive. 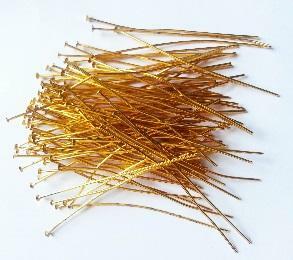 Headpin - A length of wire, usually straight, with one flattened or embellished end. 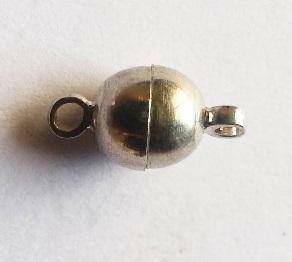 The flattened end prevents beads from slipping off the end of the pin. 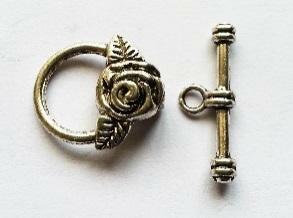 Hook-and-Eye Clasp - A clasp with a hook on one side and an open loop on the other. The loop is usually circular or oval, but other open shapes can be used. Possibly the oldest style of clasp in the world. Can include Adjustable Clasp, Crimp Clasp, Magnetic Clasp and Multi-Strand Clasp styles. 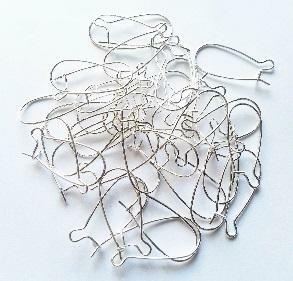 Jumpring - A piece of wire formed into a loop, usually round, and used to connect together jewelry components. 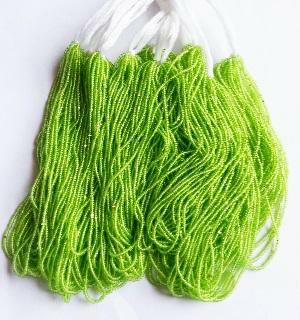 Jumprings are sometimes offered in other shapes besides round, including oval, triangle, square and more. Kidney Earwire - A type of earwire which loops through the ear and has a small hook on the bottom to latch the wire closed for added security. Leverback Earwire - (also Hinged Earwire) A type of earwire which has a hinged locking mechanism at the bottom, for added security. Link - A component within a piece of jewelry which connects one component to another, or a single loop in a chain. A link has the same amount of loops or holes on each end. 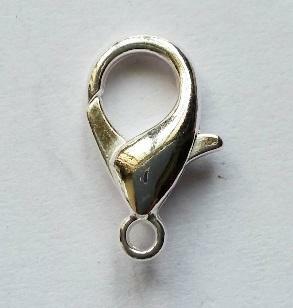 Lobster Claw Clasp - A self-closing clasp in the general shape of a lobster's claw. However, this spring-loaded clasp is available in a range of shapes, sizes and styles. Suited for lightweight to medium weight designs, however, some larger styles can accommodate larger and heavier pieces. Bead Weaving (also called as Loomwork) - The process of using seed beads woven between the warp threads on a Beading Loom, to create a design or pattern. 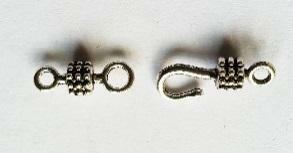 Magnetic Clasp - A two-piece clasp containing one or more magnets. 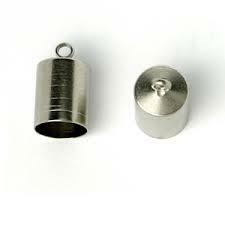 The magnets hold the two pieces of the clasp together, keeping the jewelry secure. 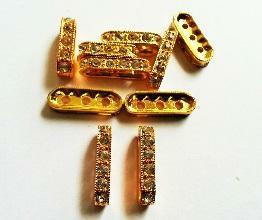 Can include Bead Clasp, Crimp Clasp, Hook-and-Eye Clasp and Snap Lock Clasp styles. Matte - A dull finish, particularly on metals. Memory Wire - A steel wire which holds (or "remembers") its preformed circular shape. 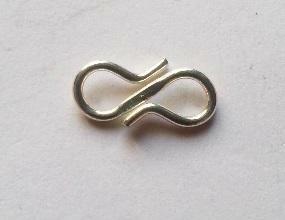 Available in multiple sizes to make necklaces, bracelets and rings. Memory wire jewelry does not require a clasp, using wire tension to keep jewelry on. Nuggets - Large, tumbled freeform pieces of gemstone or glass. 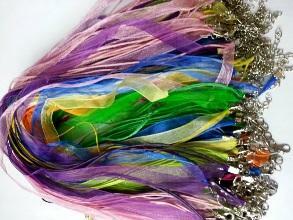 Organza Ribbon - Ribbon woven in a sheer fabric in a variety of colors. Oxidization - The process by which the outermost layer of metal changes in color and consistency due to exposure to oxygen, creating a Patina. The antiquing process used to darken sterling silver and the green color of the copper Statue of Liberty illustrate the process of oxidization. Pliers - A precision hand tool used for a variety of purposes in jewelry-making: to hold objects firmly, to cut or bend wire, to crimp or flatten components and others. Platinum - A rare grey-white metal (and element) used in jewelry. 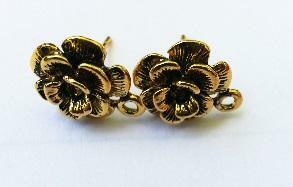 It is resistant to tarnish and wear-and-tear. Polymer Clay - A plastic sculpting material made of polyvinyl chloride (PVC), used to create jewelry beads and components. Precious Stones - Rare and costly gems: diamonds, emeralds, rubies and sapphires. Resin - A solid or semi-solid organic (carbon based) material, either natural or synthetic. In general, non-soluble in water. Rhinestone - colorless potash-and-lead glass that contains quartz in the form of melted lead crystal and is cut like a diamond. 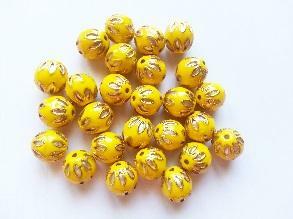 Rondelle Bead - A flat or disc-shaped bead. Typically round, rondelles are also available in square or triangular shapes. 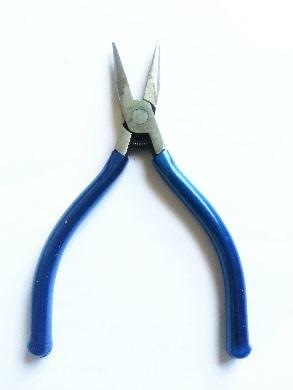 Round-Nose Pliers - A pair of pliers with round jaws, used to create curves and loops in a range of diameters in headpins, eyepins and other metal wire. Semiprecious Stones - Natural stones that generally have a lower value than precious stones, including amethyst, aventurine, carnelian, garnet, opal, rose quartz and others. Primarily used in fashion jewelry. Setting - A frame, container or cage designed for the placement of faceted gemstones or cabochons. S-Hook Clasp - A double-ended clasp shaped like an "S." Available in a spectrum of sizes and styles; some clasps are sold with two rings. Pinching the arm of the "S" secures the clasp. Pulling the "S" open again releases the ring and opens the clasp. Spacer Bar - Jewelry finding used to hold multiple strands of beads in alignment and prevent tangling, are inserted at intervals while stringing the beads. 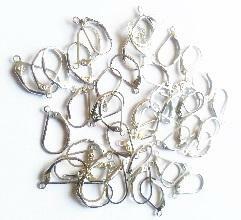 Spring ring Clasp - A popular spring-loaded clasp used with a jumpring or chain tab. 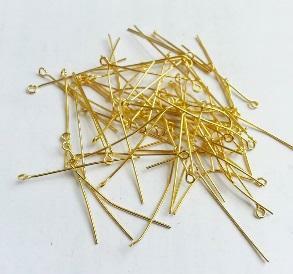 It comes in a multitude of sizes, for single-strand to multi-strand designs. Tigertail™ - A miniature braided stainless steel cable-style wire used for jewelry-making. Tigertail has a nylon coating, which protects the steel wire from corrosion or wear, and is stiff enough to be strung without using a beading needle. Tigertail is secured with a crimp bead, crimp tube or crimp clasp.